ANONYME. 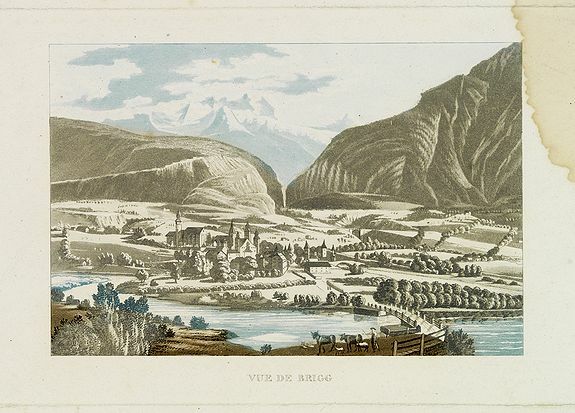 - Vue de Brigg. Vue de Brigg. - ANONYME. Title : Vue de Brigg.. Description :Rare print of Brigg. Condition : Aquatint in colours. Marginal water stain upper right corner.